President Trump on Wednesday said he has no problem with the public seeing Special Counsel Robert Mueller's upcoming report following nearly two years of investigation into Russian meddling in the 2016 election. Mueller is expected to send the report to Attorney General William Barr soon, according to Reuters, though Trump told reporters while leaving for his trip to Ohio that he has no idea when it will be released. 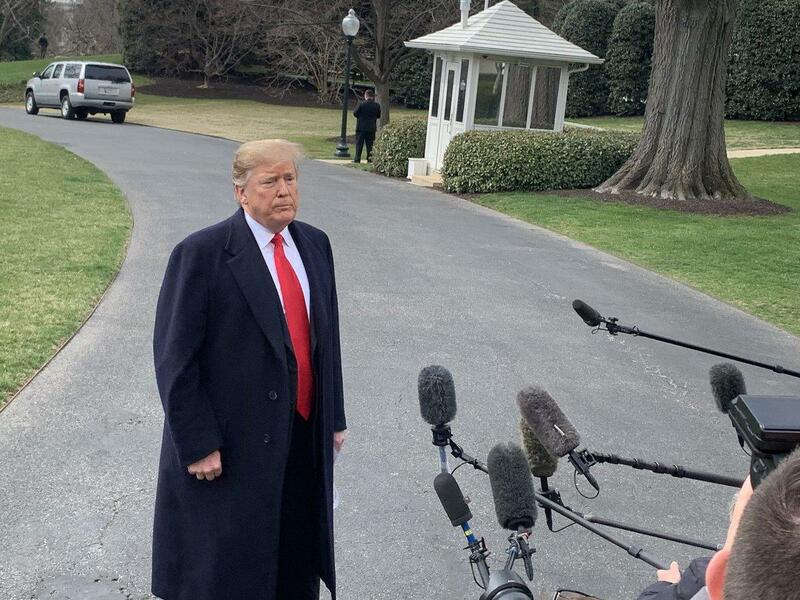 In exchange with reporters while leaving the WH for his trip to Ohio, Pres Trump said he has no idea when the Mueller report will be released. Wants to see what the report says. Let's see if it's fair, he said. Pivoting to geopolitics, Trump whipped out a before-and-after map of ISIS in Syria, telling reporters "ISIS...on my election day and ISIS now," adding that the last red dot on the map will be gone later today. The last red dot on the map will be gone later today, added @POTUS.